Large & Well Appointed - Perfect for Families! 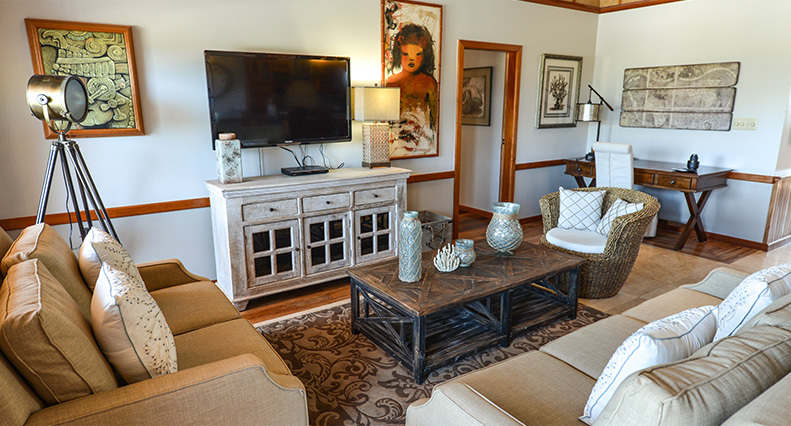 Our Two Bedroom Villas are the perfect option for groups and families. 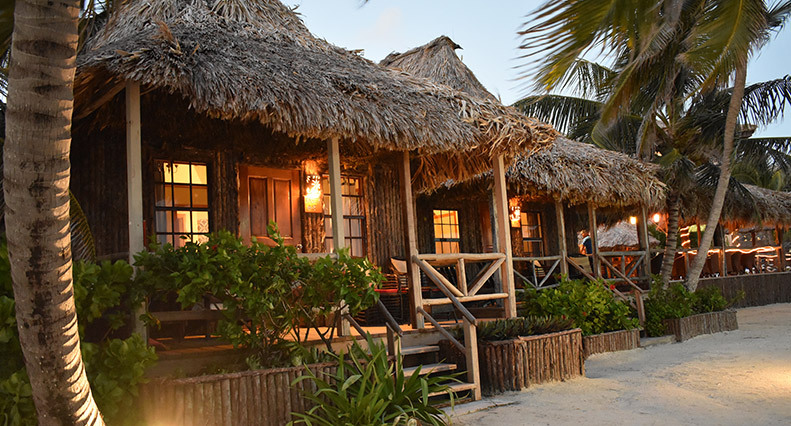 With room for everyone and spectacular Caribbean beach views, these spacious units are like your home away from home in Ambergris Caye, Belize. 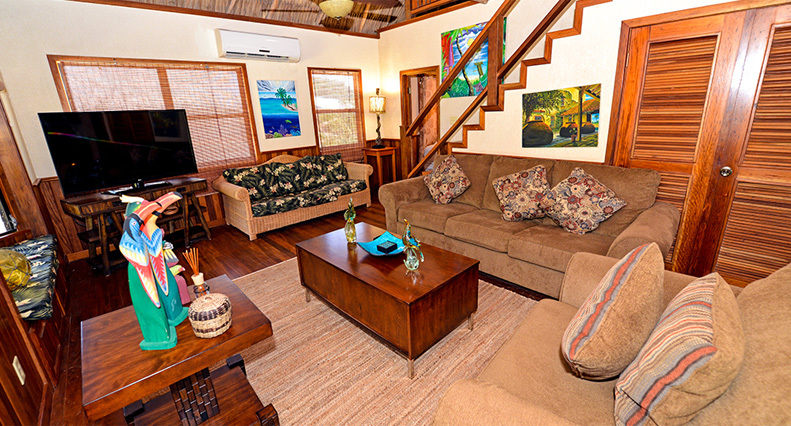 Each villa is comfortably appointed, air conditioned, and has a well equipped kitchen. 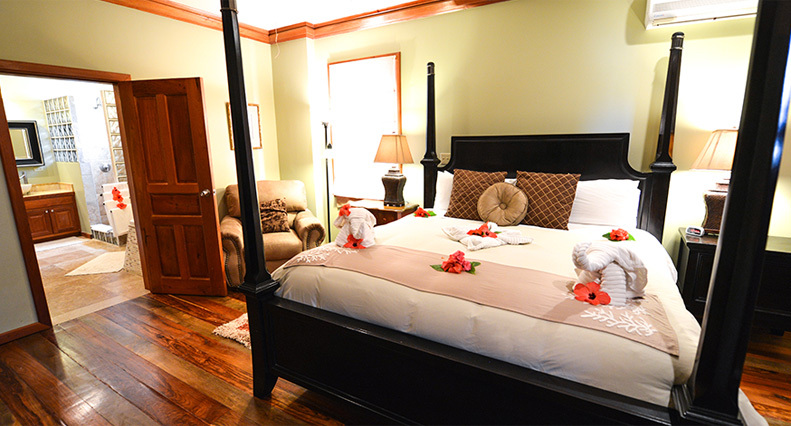 The two bedrooms have comfortable queen-sized beds, while the living room area has two fold out sofas. Enough space to unwind, to relax and enjoy our 1,100 foot private beach – or to embark on an adventure and enjoy the beauty and mystery of Belize – the choice is yours.